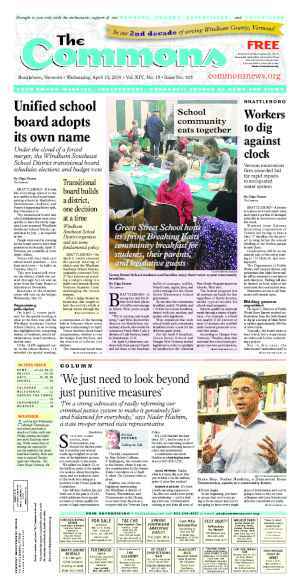 BRATTLEBORO—Citing advice of their attorney, the Town School Board and supervisory administrator have decided against developing an anti-workplace bullying policy for Brattleboro town schools. According to Superintendent of Schools Ron Stahley, legal counsel considered the district need not duplicate existing state anti-bullying policies and protections in the negotiated teachers’ union contract. The discussion about bullying in the schools was scheduled business for the board meeting held at Academy School on Feb. 10. Eight teachers and residents attended, saying they are concerned with bullying. 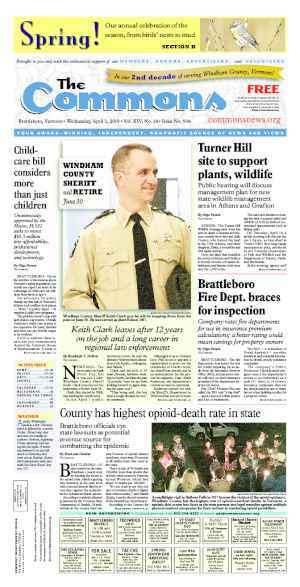 They queried the board and Stahley about counsel’s advice for a Windham Southeast Supervisory Union-specific anti-workplace bullying policy. “It’s covered, but is it enforced?” asked educator Lauren Ashley. “That would be a different question,” answered Board Clerk Jill Stahl Tyler. Stahl Tyler and fellow board member David Schoales also reported on early findings of a survey sent to parents, students, and teachers, which led the conversation back to the subject of bullying. Although most of the early feedback was positive, some students had responded they wished there was less bullying in the schools. Stahl Tyler described the results as preliminary, and said she is still compiling survey responses. According to board members, only 64 parents returned the survey. The board hoped to find additional methods of engaging parents. “No matter what, it’s not a good percentage,” Stahl Tyler said of the low number of parent responses. An audience member noted that bullying was a big topic for WSESU students and teachers. Circling back to the meeting with legal counsel, board Vice-Chair Mark Truhan said that the supervisory union’s lawyer felt that state had protections, like the Attorney General’s Civil Rights Unit, that adequately supported people who had experienced bullying. Schoales added that, should the WSESU enact its own anti-bullying policy, that policy might conflict with or impede anti-bullying or -harassment policies already negotiated into teachers’ union contracts. 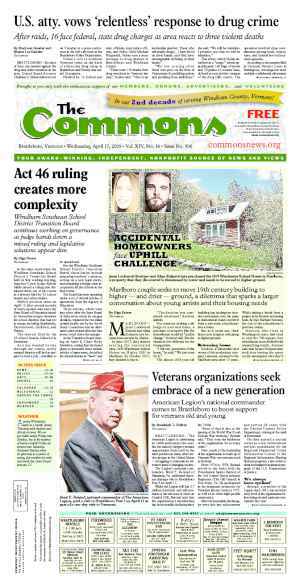 Referencing the conversation with attorneys, Stahley said the Vermont School Board Association has also avoided developing policies that could open school districts to costly litigation. The board has a number of community forums in the works, one of which might focus on bullying in the schools. Ashley said the topic of bullying was very hard for parents whose kids had experienced bullying and who may already feel disenfranchised from the school. She suggested the board use language for a forum on bullying that would invite parents of bullied children. Ashley raised the issue of teacher bullying (allegedly by administration) to the board last year. During a step-three grievance hearing before the board, Ashley told the board members that she had been bullied by the school administration after she refused to take early retirement. Ashley pointed out that staff and parents had no path to bring concerns about principals and other school administrators forward to the board without going through those same administrators. “How is it that you can make yourself people-friendly (and) parent-friendly?” Ashley characterized the question she believed the board ought to consider. The board started a process last fall to solicit community feedback regarding school priorities and educating students in the 21st century. The board held one of its first community forums last month. Audience members discussed what they felt the Brattleboro elementary schools did well and what needed improvement. Stahl Tyler and Schoales also provided a list of potential community forums that included topics such as behavioral programs in the schools; social challenges students face (such as homelessness); addressing the needs of all learners; how to partner with community organizations on extracurricular programs; and standardized testing at the elementary schools. The forums will resume after Representative Town Meeting in late March. The board’s next few meetings will focus on preparations for bringing the fiscal year 2015 budget before Town Meeting Members for approval. 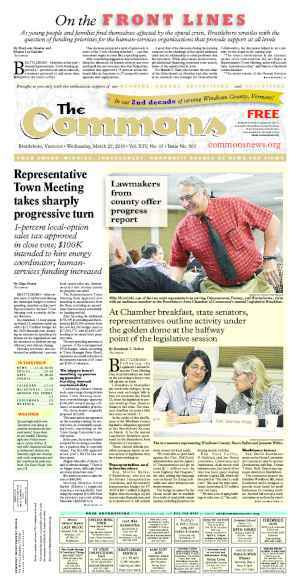 The board will discuss the $15.5 million budget at its upcoming Feb. 26 meeting as well as the Town Representative Information Meeting on March 19. Board member Peter Yost said that a community forum on bullying may be warranted. Citing student survey comments, Yost said that students report bullying often occurs during recess. These same students asked that more teachers be present during outside breaks. Originally published in The Commons issue #241 (Wednesday, February 12, 2014). This story appeared on page A8.